Its August 18th release date may still be a couple of weeks into the future, but the first reviews of Criterion’s new Blu-ray Kagemusha release have begun to appear. The most important question for us, of course, is how the Blu-ray transfer compares to Criterion’s earlier DVD release. The short answer is probably not unexpected: the Blu-ray is better. The Blu-ray blew all of my expectations out of the water. Though there was a lot of film noise and grain, the level of detail and the depth of the color were far superior [to the DVD]. 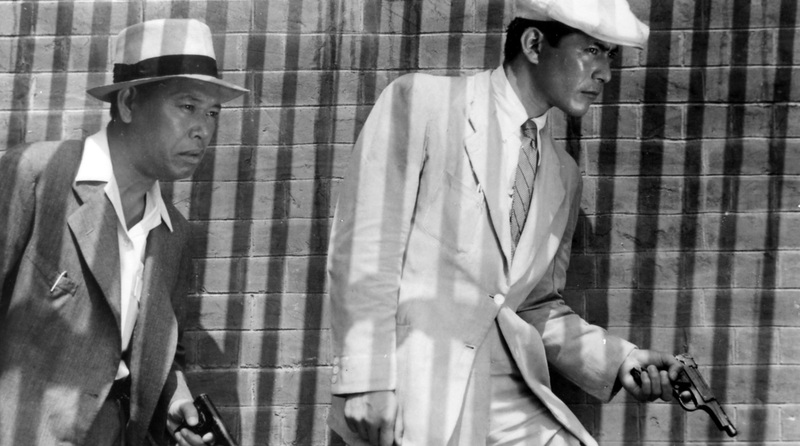 This is a very good reason to jump onto the Blu-ray bandwagon with your Kurosawa pictures. And as someone who has bought every Kurosawa release Criterion has had to offer since the advent of DVD, I can tell you, I was looking for any excuse I could find NOT to re-purchase all of my Kurosawa films. But I really couldn’t find one. You can decide for yourself how much of that hype is influenced by the fact that the review ends with an affiliate link to Amazon by looking at the DVD Beaver comparison between the DVD and Blu-ray. While the transfer is obviously sharper, the colours also seem a touch less intensive. Based on DVD Beaver’s captures, I must say that the Blu-ray looks better to me. I did a few random comparisons between the old SDVD release and this new Blu-ray release and can comfortably state that detail is improved dramatically. Contrast, especially during the daylight scenes, is also stronger. The most notable upgrade, however, is in the area of color reproduction. 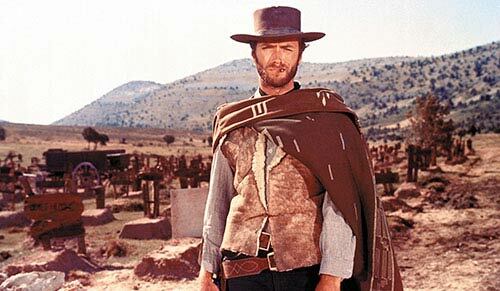 Reds, yellows, greens, browns, blues, blacks and whites are far more impressive on the Blu-ray transfer. This being said, a few of the nighttime scenes seem a bit soft, at times even pale. I believe this is a side effect related to the manner in which the film was shot (the low lighting has certainly contributed to it). The print reveals plenty of natural film grain. As expected, DNR has not been applied. Finally, neither edge-enhancement nor macroblocking plague the Blu-ray release of Kagemusha. 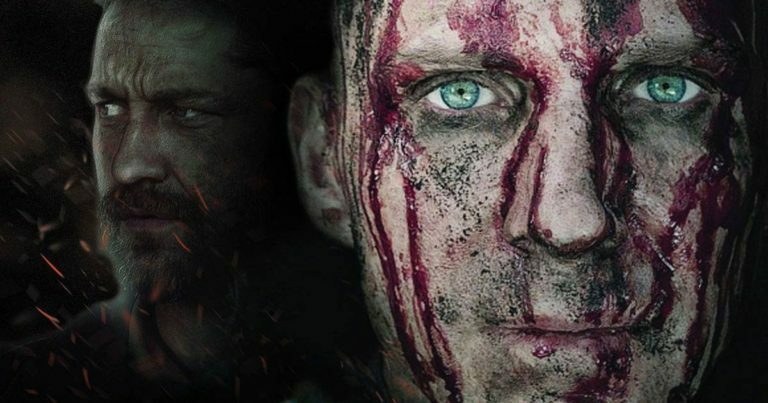 To sum it all up, I have absolutely no doubts that this is the best Akira Kurosawa’s award-winning film could look at the moment. But all in all these reviews, as well as those by Blu-rayDefinition.com and Home Theatre Forum, all agree that this is the best looking Kagemusha out there. Reviewers have spent much less time concentrating on the quality of the audio transfer, but Chris Galloway does note that it is a “clear improvement over the DVD”. We will just have to take his word for it, I suppose. As for the supplements, like I have reported earlier, they are pretty much the same as what the DVD had, just presented in 1080i. 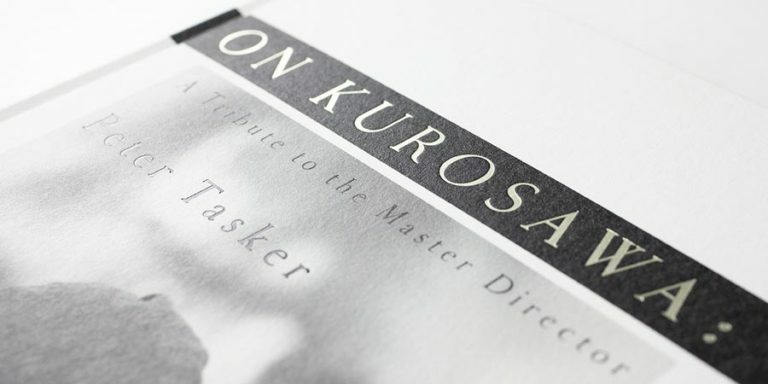 The only major difference in terms of content is with the booklet, which no longer has Donald Ritchie’s essay, but now includes the 1981 interview Kurosawa did with Tony Rays (the one reprinted in Bert Cardullo), as well as an essay by Peter Grilli. Some minor changes have also been made to the layout of the booklet, and a few errors have been corrected. 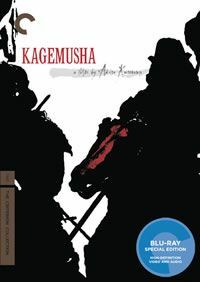 For more in formation about the home video availability of Kagemusha, check out the sections on Kurosawa DVDs and Kurosawa Blu-rays. The reviewers know far more then me, but seems that the color looking better are only the result of a less “blurry” picture due to a higher resolution, resulting in reducing the color’s unity. Kagamusha is rather softy focused, I don’t know if Kurosawa intended to be so, but if so, then sharping up the image is going to produce a different effect on the colors, they may not of been Kurosawa intention. Still, I will dust off the Blu-ray for this one. Blu ray has a much wider color pallete than DVD. quite possibly the cinematographer or focus puller. to make small shortcomings glaring. become less favorite after a pass under such a powerful microscope. Supposed shortcoming is among my complaints with Blu-ray editions to old movies. Common among older films is a lack of critical focus(I believe many terms are thrown about for a very sharply focused lens), if this is done of purpose, or the result of limitation in focusing via tape measures, perhaps both, I’m not sure. Often a HD reproduction shows a increase to focus, while some is the natural result of higher resolution on playback(although depending on the age of the film, such is not case, as many meet or still exceed HDTV resolutions), I think most is the result of the production company trying to give off a HD feel to an older film, and so artificially enhance focus. The result is a warping in detail and color, maybe not intended by the director, and DP. Short of the directors comments, I guess one can never be sure, if the director would like the better detail, to which they could not get with past technology, or would be displeased in a what I at least consider an unnatural focus. Ideally I think focus should of course be sharp, but with a bit of blur between close planes, not entirely unlike human focus. With the advancement of HD camera, HD viewers for focus pullers, and precise laser measurement, modern films are too focused, to the point planes are harshly defined, and color equally harsh. Not to imply Criterion has done this(I have not seen the new work), still they most be careful not to change the film, simply to show off what they can do with an older film, moved to Blu-ray. Sound is a weak area of mine, but I suppose too, if one is not careful an increase of quality could reveal bad audio area, that would not be had if heard or even known about in the original nature. This too is artificially enhancing what was never intended.